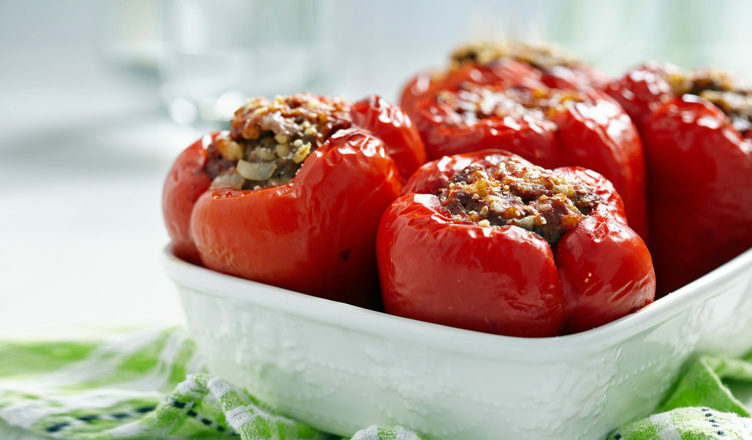 An easy and highly effective second course, stuffed peppers are common in the culinary tradition. You can use the most varied ingredients, rice, potatoes, tuna, eggs, bread seasoned with leftovers from the day before. Meat is used mostly in the central regions. Obviously just increase the quantity a little to make a delicious single dish.